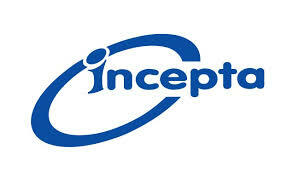 Incepta Pharmaceuticals Ltd. is a leading pharmaceutical company in Bangladesh established in the year 1999. The company has a very big manufacturing facility located at Savar and Dhamrai. They have a number of focusing point like large range of products, rapid growth, emerging company etc. But rapid growth with achieving within top 3 position continuously is the major focusing point of Incepta Pharma. Beximco Pharmaceuticals Ltd (BPL) is a leading manufacturer of pharmaceutical formulations and Active Pharmaceutical Ingredients (APIs) in Bangladesh. They have a long range of generic drugs. Beximco pharma carry a strong reputation from the beginning of the manufacturing through quality products. They have a lot of strong focusing point to the consumer. USFDA approval is top most of them. Today beximco make an identity with USFDA approval tag and select as a focusing point of the company. 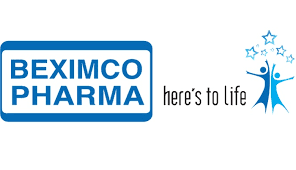 Till now Beximco is the only Bangladeshi company export generic drugs to USA market. Today a common problem is insomnia and/or complain of poor sleep. A large portion of teenage and older person frequently face this problem. To treat this problem first choice of the medicine is 'sleeping pills'. Most sleeping pills are classified as "sedative hypnotics." That's a specific class of drugs used to induce and/or maintain sleep. Sedative hypnotics include benzodiazepines, barbiturates, and various hypnotics. Beacon Pharmaceuticals Limited is the number one oncology company and one of the leading and fastest growing pharmaceutical companies of Bangladesh. The Company started its operation in 2006. Now Beacon is one of the top oncology pharmaceutical companies of Bangladesh. Amitriptyline is a tricyclic antidepressant. Chlordiazepoxide is a benzodiazepine. These medicines affect chemicals in the brain that may be unbalanced in people with depression.